It might not happen that often, but there will be times when you forgot Windows password and get locked out of your system. In those cases, you can reset Windows 10 password with just a few clicks. In previous versions of Windows (read 7 and 8), if you want to reset Windows password, you either have to use a password reset disk or insert the Windows installation media and hack through the command prompt or recovery environment. Needless to say, resetting Windows password is not a pleasant experience. But that changes with Windows 10 April Update. 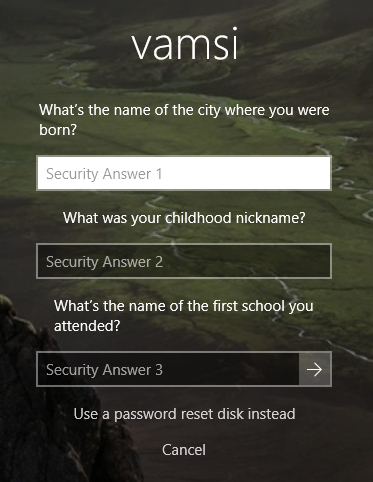 In the new update, Windows introduced to a new feature where you have to select and answer security questions while creating a local user account. This is not an optional feature, you have to set security questions when creating the local user account. The good thing is, you can update or change security questions on Windows 10 whenever you want. Security questions are not needed if you are using Microsoft account. When in need, you can reset local user account password on Windows 10 by answering the security questions. It is that simple. 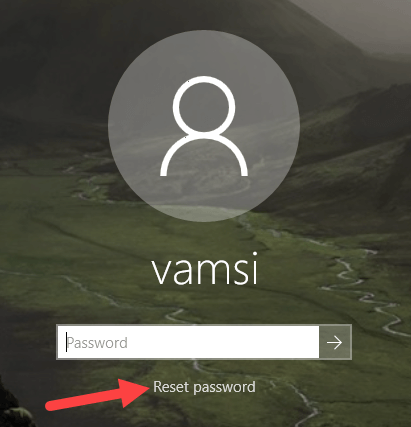 So, without further ado, let me show you how to reset Windows 10 password. To reset local user account password on Windows 10 all you have to do is answer the security questions. 1. 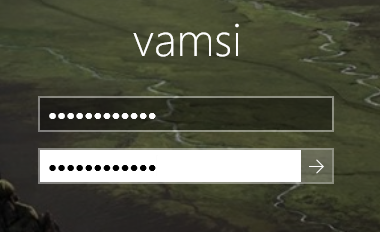 First, enter the password on the login screen and press enter. Windows will throw you the generic "Wrong Password" error. Press "Ok." Now, you will see a new link called "Reset Password." 2. You will be prompted to answer security questions. So, answer all three questions and press "Enter" button on your keyboard. 3. If all the answers are correct, Windows will prompt you to enter a new password. So, type the password twice and press Enter. As soon as you press the Enter key, you will be logged into Windows. You've successfully done resetting local user account password on Windows 10. If you are using Microsoft account then you have to reset your Microsoft account password to login to your Windows 10 machine. Just click on the "I forgot my password" link under the password field and follow the wizard. If you are still unable to reset your forgotten local user password or Microsoft account is compromised, I recommend you use the third-party password recovery software - PCUnlocker, a bootable utility that can bypass Windows 10/8/7/Vista/XP password in no time when your PC is locked down by a forgotten password. Hope that helps. Comment below sharing your thoughts and experiences about using the above method to recover or reset local user account password on Windows 10.